At ISC West, Vision Components presents embedded solutions for automatic license plate recognition (ALPR) and security applications, as well as MIPI camera modules. 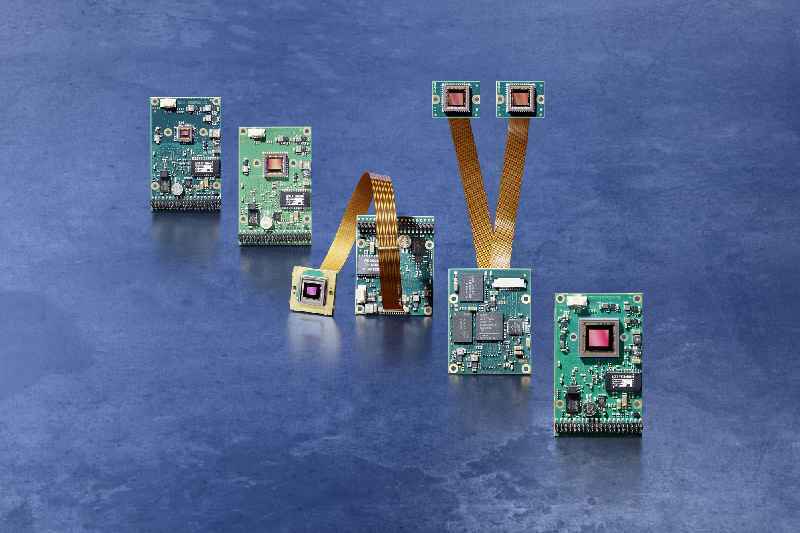 Vision Components exclusively presents its new MIPI camera modules at the 2019 embedded world trade show in Nuremberg, Germany, Hall 3, Stand 764. The ultracompact boards aim at novel applications with many cameras, such as Smart City services, autonomous driving, UAVs, and medical technology. Vision Components presents new software and hardware products for vision OEMs at two booths at the 2019 embedded world exhibition in Nuremberg, Germany. At the main booth (#2-444), everything revolves around VC Z series embedded vision systems. 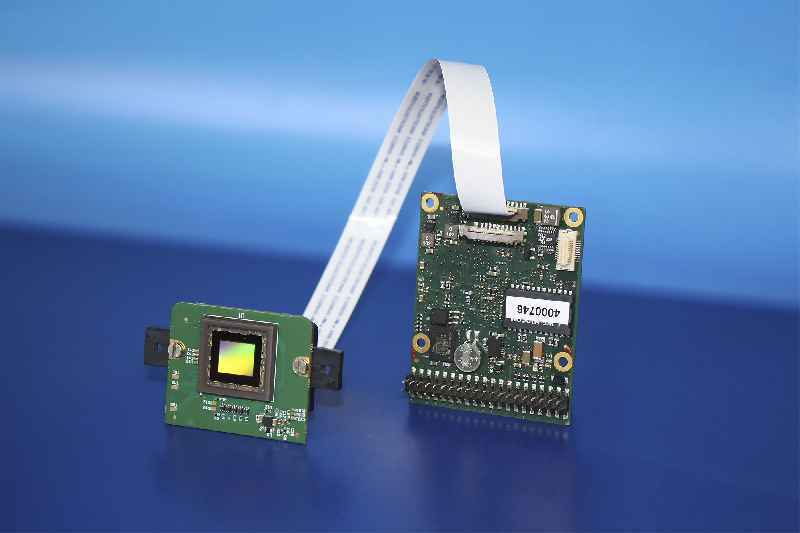 Vision Components has launched a series of MIPI camera modules. The ultra-compact boards support the MIPI CSI-2 specification. They are available with different image sensors as required by the customer, starting off with six modules, two global shutter sensors – OV9281 from Omnivision (1 Megapixel) and Sony Pregius IMX296 (1.55 MP) – and four rolling shutter sensors, including IMX274 (8.4 MP) and IMX326 (6.8 MP) from the Sony Starvis series. Additional sensors with resolutions up to 13 MP are under development. Thanks to standardized data transmission, the miniature cameras can be manufactured and integrated into various platforms at extremely low costs. They are therefore ideal for applications with many cameras including mobile and distributed applications such as autonomous driving, UAVs, Smart City, medical technology, and laboratory automation. This development opens up a new product segment for the German manufacturer who has, until now, mainly specialized in cameras with built-in intelligence. Introducing the new MIPI sensor boards, VC now offers OEMs another highly versatile component for their embedded vision solutions. The MIPI camera modules contain mounting holes and precision fittings. A ceramic LGA chip ensures high mechanical stability and accuracy. It is placed on a copper layer with edge metallization for optimum heat dissipation and minimal noise. There is a connector for a 22-pin flexprint cable on the back of the high-end eight-layer board. The sensors can be triggered via this interface. The 200-mm flexprint cable included in delivery features a fully shielded backside and differential line pairs, ensuring noise-free MIPI transmission. At launch, the camera modules can be connected to more than 20 CPU boards from different manufacturers that support this standard. This includes all Raspberry Pi boards, all 96Boards, NVIDIA TX1 and TX2, and additional boards with i.MX6 / i.MX8. At SPIE Photonics West, Vision Components will present new products geared at vision OEMs. In addition to full-fledged embedded vision systems, these include the brand-new MIPI camera modules. These ultra-compact boards are manufactured at highly competitive costs, making them ideal for applications with a large number of cameras. Vision Components‘ proprietary ambient light suppression technology enables measurements with laser profilers under up to 100,000 lux. 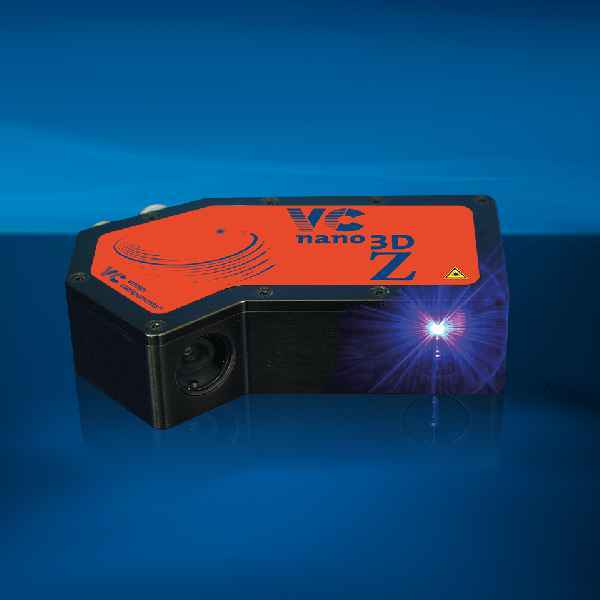 This is an all-new feature for the intelligent VCnano3D-Z laser profilers, enabling them to achieve best-in-class performance. Vision Components‘ proprietary ambient light suppression technology enables measurements with laser profilers under up to 100,000 lux. This is an all-new feature for the intelligent VCnano3D-Z laser profilers, enabling them to achieve best-in-class performance. The high ambient light immunity results from a high-intensity laser, combined with extremely short exposure times. 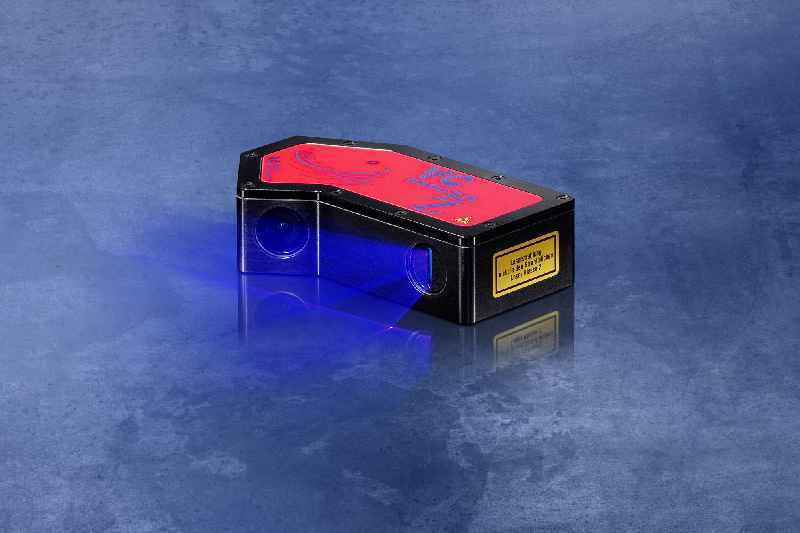 The blue laser has a wavelength of 450 nm and is rated class 2. The new laser scanner series is suitable for a variety of different applications, especially for metallic surfaces. Based on a Xilinx Zynq SoC, the embedded vision systems can be configured for additional tasks on top of generating 3D profiles. Vision Components has programmed the internal FPGA of the SoC module to calculate the 3D point cloud. This leaves the powerful 2 x 866 MHz ARM processor as a freely programmable resource to handle application-specific machine vision tasks. Vision Components therefore provides the first profilers on the market that can also be programmed to analyze the grayscale image. The product series includes various models for different working distances from about 60 mm to over 3 m, all now available. On request, the manufacturer also implements bespoke sizes. OEMs can therefore get a suitable laser profiler for every need. The laser profilers provide scan rates of up to 2 kHz and resolutions up to about 40 µm on the X axis and 10 µm on the Z axis. They can detect extremely small parts or defects and monitor visual fields that are over 2000 mm wide. Vision Components embedded systems with high-performance CMOS sensors achieve outstanding frame rates. The manufacturer now integrates another new Sony Pregius image sensor into VC Z series cameras. The Sony Pregius IMX392 is a 1/2.3″ sensor featuring a 1920 px by 1200 px resolution. Vision Components embedded systems with high-performance CMOS sensors achieve outstanding frame rates. The manufacturer now integrates another new Sony Pregius image sensor into VC Z series cameras. The Sony Pregius IMX392 is a 1/2.3″ sensor featuring a 1920 px by 1200 px resolution. In Vision Components products, it achieves a maximum frame rate of 118 fps at full resolution. 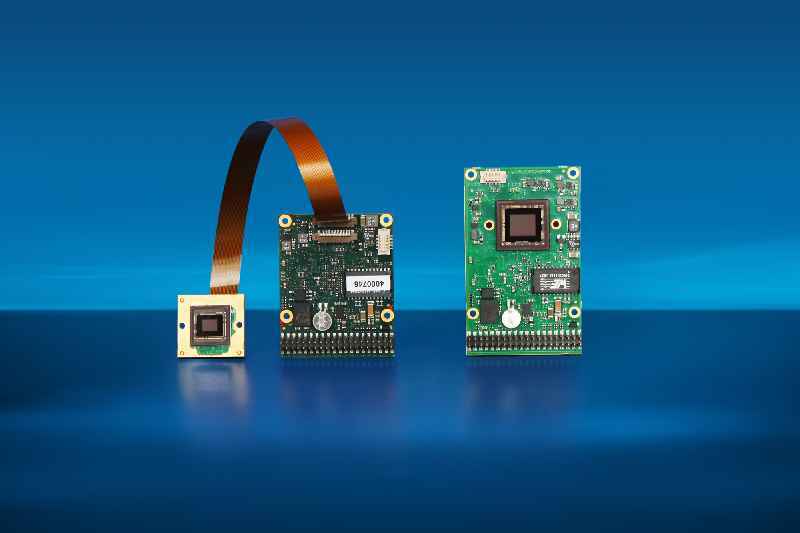 This new Sony Pregius is available in OEM board cameras with an integrated sensor and in versions with one or two remote sensor heads connected to the CPU board via flexprint cable. It is also used in two enclosed, standalone camera models, the compact VCnanoZ and the especially robust, IP67-rated VCproZ. There are various interface options for all designs. This 2.3-megapixel sensor is now the third Sony Pregius in the Vision Components lineup. The various camera types mentioned above are also available with IMX273 sensors, which provide a 1.6 MP resolution and a maximum frame rate of 170 fps, or with IMX252 sensors that achieve 3.2 MP and 88 fps. Faster processing speeds are possible at lower resolutions. This new addition gives OEMs an even more versatile choice of fast smart cameras. Pregius series sensors are designed with industrial applications in mind. The latest-generation CMOS sensors ensure high dynamics and excellent image quality due to extremely low dark noise. Even under difficult ambient conditions with very little light, the sensors capture very crisp, virtually noise-free images. VC Z series cameras are fully fledged powerful image processing systems. All models contain a Xilinx Zynq module, a system on chip (SoC), which comprises a dual-core ARM Cortex-A9 processor with a 2 x 866 MHz clock rate as well as an FPGA. 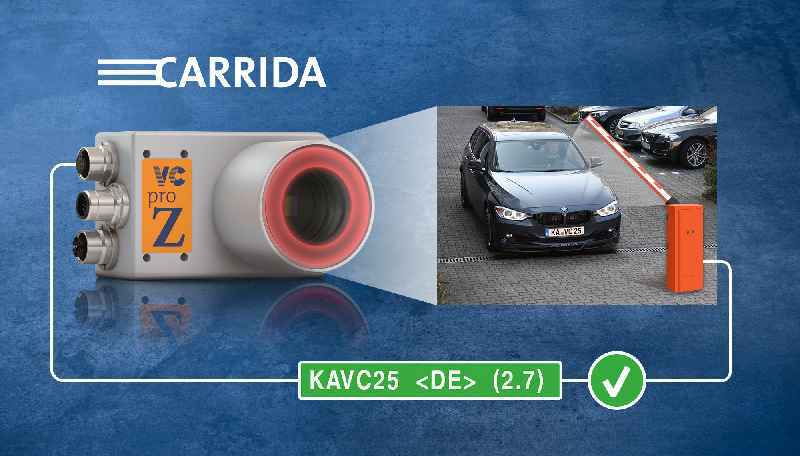 The Carrida software engine for automatic license plate recognition (ALPR/ANPR) has been augmented by a make and model identification function featuring deep learning algorithms. Carrida Make & Model currently recognizes hundreds of European and US brands and models. The Carrida software engine for automatic license plate recognition (ALPR/ANPR) has been augmented by a make and model identification function featuring deep learning algorithms. Carrida Make & Model currently recognizes hundreds of European and US brands and models. It can be used as a standalone tool or in combination with license plate recognition to increase accuracy. Since it was first introduced in 2014, many OEMs have found Vision Components’ powerful, field-proven solution to be instrumental for access control, traffic monitoring, and smart city applications. A recently established dedicated subsidiary, Carrida Technologies GmbH, has now taken the lead in marketing and further developing the suite. The core element is the Carrida software, which now reads license plates from over 50 countries around the world with a typical accuracy of 96 %. The software can process all widely used image and video file formats. It recognizes all license plates visible in an image, requiring a minimum character size of merely 8 pixels. Video stream processing can be tied to a motion detection trigger to save computing capacity. The hardware-independent software runs on Windows, Linux, and Android systems with a variety of different processors from Ambarella, Atom, and Broadcom, to HiSilicon, i5, i7, RasPi, and Zynq. This greatly facilitates Carrida integration, especially into heterogeneous hardware architectures. An intuitive web interface enables flexible, convenient operation. A REST API interface has now also been implemented. It has already been used for cloud applications. The release for Android devices gives users completely new opportunities in apps. Developer interfaces are available for C, C++, C# wrapper, Java wrapper, and Python. In addition to the software suite, Vision Components and Carrida Technologies also offer an ALPR hardware companion kit. The portfolio includes network-enabled cameras, which can optionally be operated as standalone systems to control access barriers, infrared lighting, and upgrade computing modules to turn conventional IP cameras into ALPR systems. 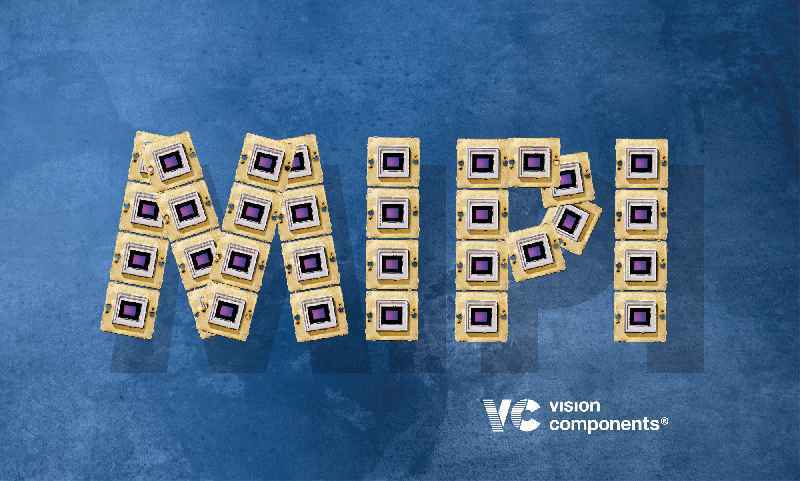 Vision Components will celebrate the world premiere of its new MIPI camera modules at the 2018 VISION trade fair. The ultra-compact boards support the MIPI CSI-2 specification. They are available with different image sensors as required by the customer. Vision Components has developed new 3D laser scanners with powerful integrated electronics. The VCnano3D-Z-series embedded vision systems are compact, lightweight, and easy-to-integrate in OEM applications. They contain a Xilinx Zynq SoC, which comprises a dual-core ARM processor and an FPGA. Vision Components offers a comprehensive hardware and software portfolio for OEMs manufacturing image processing technology for the packaging industry. Vision Components offers a comprehensive hardware and software portfolio for OEMs manufacturing image processing technology for the packaging industry. The company’s embedded vision systems autonomously perform inspection tasks with different degrees of complexity, for instance, code reading, fill level detection, completeness checks, printed image control, label inspection, as well as detection and categorization in sorting facilities. 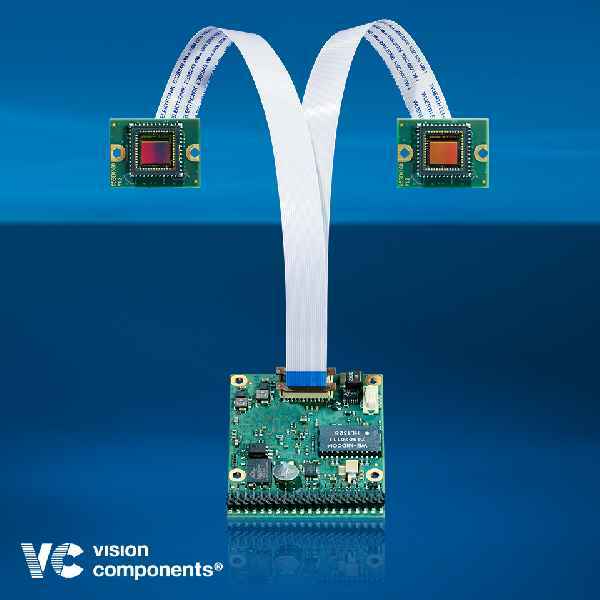 Vision Components specializes in intelligent, network-compatible embedded vision systems and offers a wide range of new camera models with high-performance CMOS sensors. Type VCSBC nano Z-RH-0273 smart cameras provide an excellent price–performance ratio for applications that require very high speeds at medium resolutions. Their IMX273 sensor from Sony’s Pregius series has a 1.6 megapixel resolution (1440 x 1080 px). The maximum frame rate in this format is 170 fps. At lower resolutions, even higher speeds can be achieved. For applications that require high resolutions and high frame rates, VC Z cameras with an IMX252 sensor with 3.2 MP resolution are available. The board cameras with a remote image sensor are very small and lightweight and enable highly flexible integration. To facilitate application development, Vision Components offers the VC LibQ software library, which, in addition to over 300 proprietary functions for all typical image-processing tasks, comprises more than 2000 operators from MVTec’s Halcon software. OEMs who do not need the full set of VC LibQ functions can purchase one of these dedicated packages: code reading, OCR, pattern recognition, or the combined package code reading + OCR. All operators are thoroughly tried and tested, as versions of these software products have been successfully used for more than 20 years. Vision Components has tailored the algorithms to VC Z embedded systems to ensure optimum interaction of hardware and software. Thus, OEMs can significantly shorten the time to market for image processing solutions for packaging applications. 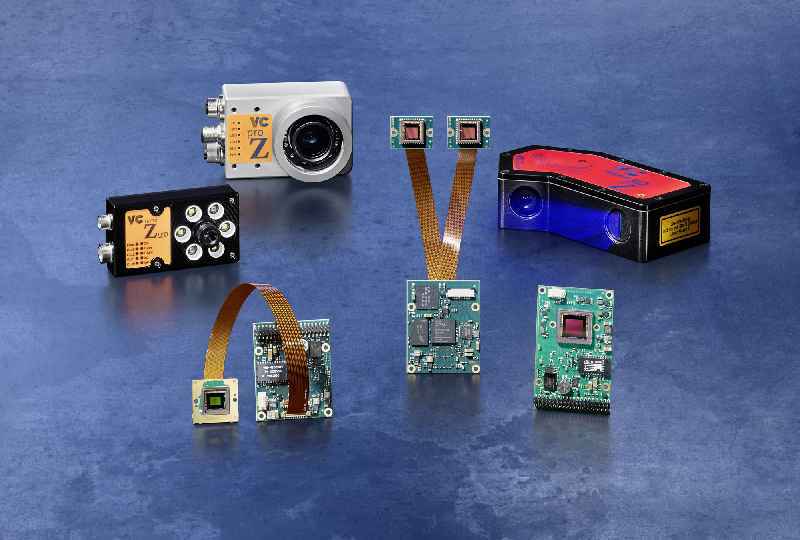 At the Embedded Vision Summit in Santa Clara, CA (USA), Vision Components showcases the brand-new ARM-based 3D triangulation sensor VC nano 3D-Z and an extended the range of models with CMOS sensors from the Sony Pregius series. Pre-programmed machine vision functions make work easier for software developers and significantly shorten the time to market. Vision Components therefore now also offers its Linux-based VC Z series embedded vision systems with an extensive software library. Pre-programmed machine vision functions make work easier for software developers and significantly shorten the time to market. Vision Components therefore now also offers its Linux-based VC Z series embedded vision systems with an extensive software library. VC LibQ contains more than 300 functions developed by the manufacturer for all common image processing tasks. In addition, all capabilities of MVTec’s Halcon software are also part of the package. The algorithms are specially tailored to embedded systems from Vision Components. All functions are thoroughly time-tested, as versions of these software products have been successfully used for more than 20 years. The full VC LibQ package covers a wide range of applications including optical character recognition and verification (OCR/OCV), 3-D image processing, measurement and inspection, blob analysis, color image processing, hyperspectral imaging, morphology, and motion analysis. OEMs can also purchase dedicated packages for their specific applications: code reading, OCR, pattern recognition, or the combined package code reading + OCR. After purchase of the software, there are no additional license fees. Powerful latest-generation CMOS sensors now provide high frame rates in another smart camera from Vision Components. The new VCSBC nano Z-RH-0273 embedded vision systems are ideal for applications requiring very high speeds at medium resolutions, where they offer excellent value for money. Powerful latest-generation CMOS sensors now provide high frame rates in another smart camera from Vision Components. The new VCSBC nano Z-RH-0273 embedded vision systems are ideal for applications requiring very high speeds at medium resolutions, where they offer excellent value for money. In addition to 2-D imaging applications, they are also used in laser triangulation sensors for 3-D tasks. The board cameras with a remote image sensor are particularly compact and can be flexibly integrated. Their IMX273 sensor from Sony’s Pregius series has a 1.6 megapixel resolution (1440 x 1080 px). The maximum frame rate in this format is 170 fps. At lower resolutions, even higher speeds can be achieved. The Pregius series was specially developed for industrial applications. In these products, current CMOS technology guarantees high dynamics and excellent image quality due to extremely low dark noise. Even under difficult ambient conditions with very little light, the sensors capture very crisp, virtually noise-free images. For applications that require high resolutions and high frame rates, VC Z cameras with an IMX252 sensor with 3.2 MP resolution are available. In addition to a version with a remote sensor, there is now also the new board camera VCSBC nano Z-0252 with an onboard sensor. OEMs will find this gives them an even more versatile choice of embedded systems designed with a focus on great practical benefits. At the embedded world exhibition in Nuremberg, Germany, Vision Components (hall 2, stand 2-454) showcases new embedded vision systems. In addition to an extended range of models with CMOS sensors from the Sony Pregius series, trade show visitors are invited to witness the launch of the ARM-based 3D triangulation sensor VC nano 3D-Z. programmed machine vision functions make work easier for software developers and significantly shorten the time to market. Vision Components therefore now also offers its Linux-based VC Z series embedded vision systems with an extensive software library. programmed machine vision functions make work easier for software developers and significantly shorten the time to market. Vision Components therefore now also offers its Linux-based VC Z series embedded vision systems with an extensive software library. VC LibQ contains more than 300 functions developed by the manufacturer for all common image processing tasks. In addition, all capabilities of MVTec’s Halcon software are also part of the package. The algorithms are specially tailored to embedded systems from Vision Components. All functions are thoroughly time-tested, as versions of these software products have been successfully used for more than 20 years. The full VC LibQ package covers a wide range of applications including optical character recognition and verification (OCR/OCV), 3-D image processing, measurement and inspection, blob analysis, color image processing, hyperspectral imaging, morphology, and motion analysis. OEMs can also purchase dedicated packages for their specific applications: code reading, OCR, pattern recognition, or the combined package code reading + OCR. After purchase of the software, there are no additional license fees. At the SPIE Photonics West trade show, Vision Components (booth 3043, hall north) will launch new embedded vision systems with Sony Pregius sensors. The latest generation CMOS sensors achieve high frame rates at high resolutions. At the first Embedded VISION Europe Conference and Exhibition, Vision Components will shine a light on the future of image processing. Having built up extensive knowledge on FPGA programming, the company has achieved up to 20 times faster performance in various successfully concluded customer projects. 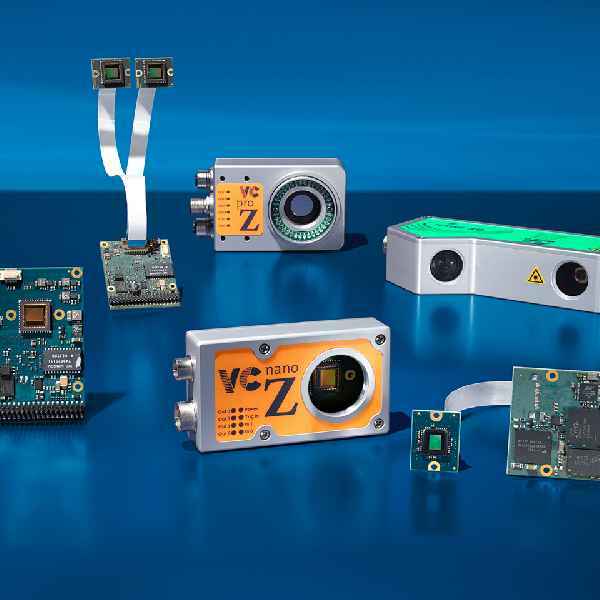 The powerful, extremely small VC Z embedded vision systems from Vision Components offer real-time image processing suitable for all kinds of demanding applications. All models are equipped with Xilinx’ Zynq module, a dual-core ARM Cortex-A9 with 866 MHz and an integrated FPGA. Their extremely compact design and very low power consumption make them ideally suited for applications requiring high speeds but with limited installation space. 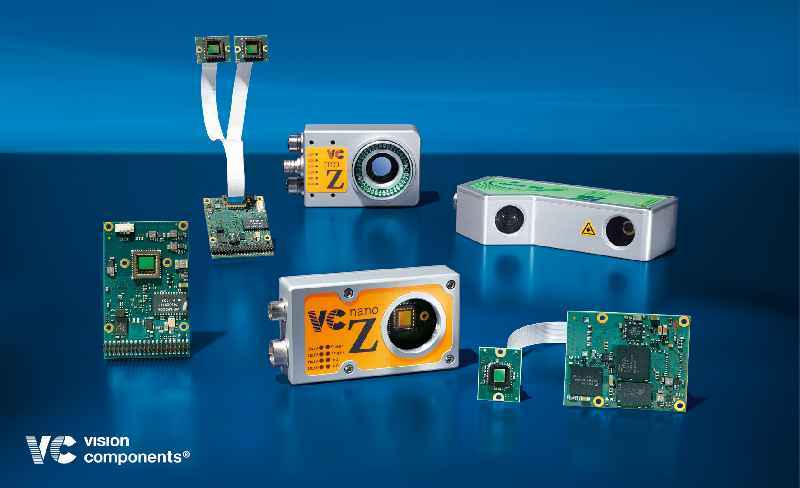 The powerful, extremely small VC Z embedded vision systems from Vision Components offer real-time image processing suitable for all kinds of demanding applications. All models are equipped with Xilinx’ Zynq module, a dual-core ARM Cortex-A9 with 866 MHz and an integrated FPGA. Their extremely compact design and very low power consumption make them ideally suited for applications requiring high speeds but with limited installation space. The new camera generation is based on the board camera series VCSBC nano Z. With a footprint of 40 x 65 mm and comprehensive adaptability regarding installation and connection, these flexible systems are especially easy to integrate into machines and plants.Users can choose between two enclosed camera types: the VC nano Z, measuring 80 x 45 x 20 mm, and the VC pro Z with IP67 ingress protection, which measures 88 x 58 x 36 mm and can be fitted with a lens and an integrated LED illumination. All Z camera models feature several CMOS sensors. 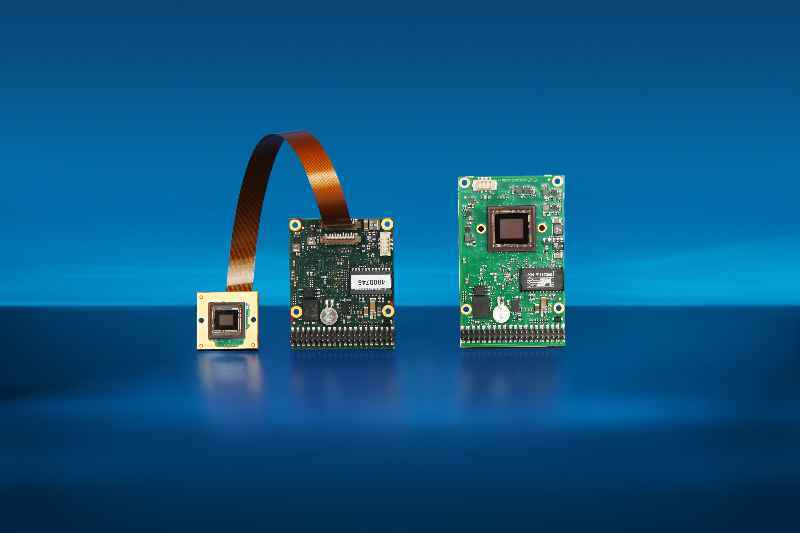 In addition, the board camera versions are available with an on-board sensor or with one or two external sensors with 30 mm or 80 mm ribbon cables. The new VC Linux operating system ensures optimal interaction between hardware and software. For users seeking to fully exploit the performance potential of the hardware, Vision Components also offers an FPGA programming service which can accelerate processing speeds many times over. Like all VC cameras, Z series cameras come complete with the free-of-charge VC Lib software library, which provides over 300 basic industrial image processing functions such as pattern matching, that can be tested and debugged in advance in a simulation environment. Ettlingen – Looking back at two decades of leadership in industrial image processing, Vision Components celebrates it’s 20th anniversary this year. The company was founded in 1996 as Vision Components GmbH by Michael Engel, whose pioneering invention of the first industrial Smart Camera VC11 heralded the embedded era in image processing. 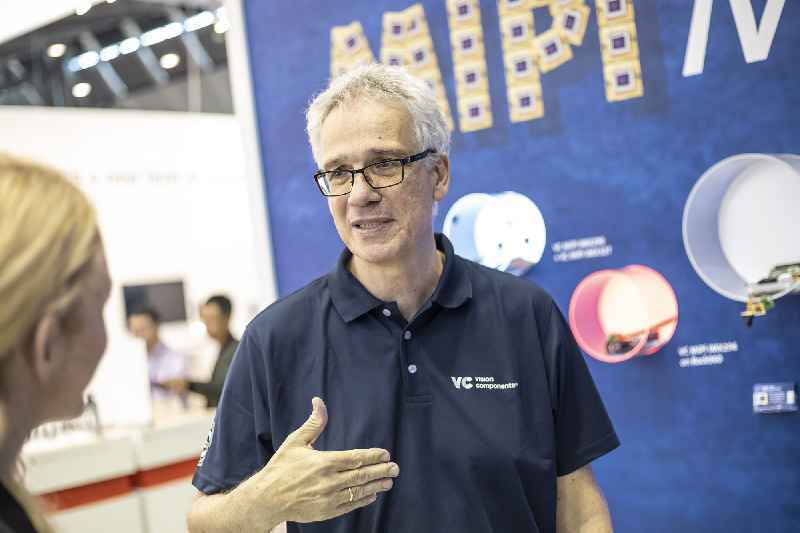 Ettlingen – Looking back at two decades of leadership in industrial image processing, Vision Components celebrates it’s 20th anniversary this year. The company was founded in 1996 as Vision Components GmbH by Michael Engel, whose pioneering invention of the first industrial Smart Camera VC11 heralded the embedded era in image processing. Whether it’s the perfect cut of fish fillets, precise automated „bin picking“ or reliable decoding of license plates – the team at Vision Components develops customized components for successful embedded vision solutions in a great variety of industries, and advises customers how to seize the full potential for their application. Over the years, the industry pioneers have time and again succeeded in developing innovative hardware as well as software products. 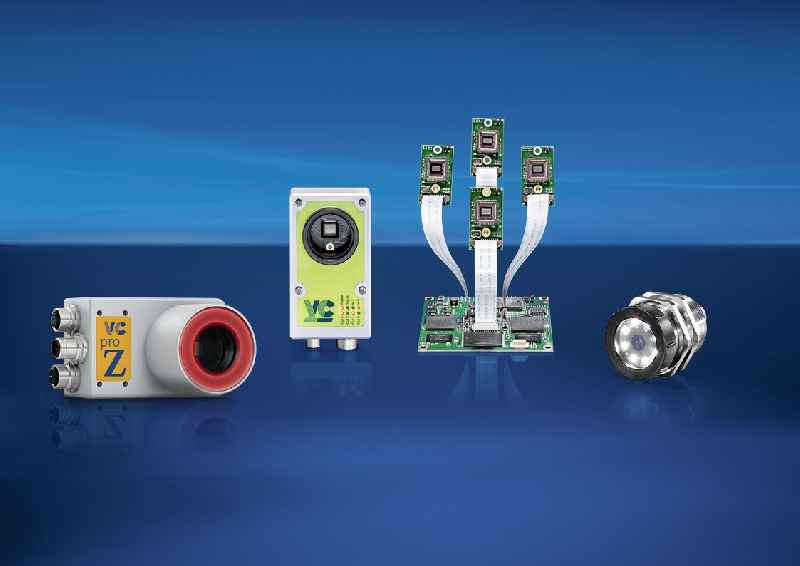 Notably, Vision Components freely programmable OEM Board Cameras and intelligent high-performance cameras frequently enable the use of image processing solutions in more and more industries where this technology is an entirely new concept. Landmark achievements also include not only the first Smart Camera, but also the first Vision Sensor, and now the recently developed Z-series. This camera series is based on a Xilinx SoC module equipped with a dual-core ARM processor and features FPGA logic. This opens up completely new options of FPGA programming, with huge performance gains coming within reach for many applications. Vision Components provides a custom Linux OS and the versatile software library VCLib, an in-house development, and also supports customers with extensive free application know-how. 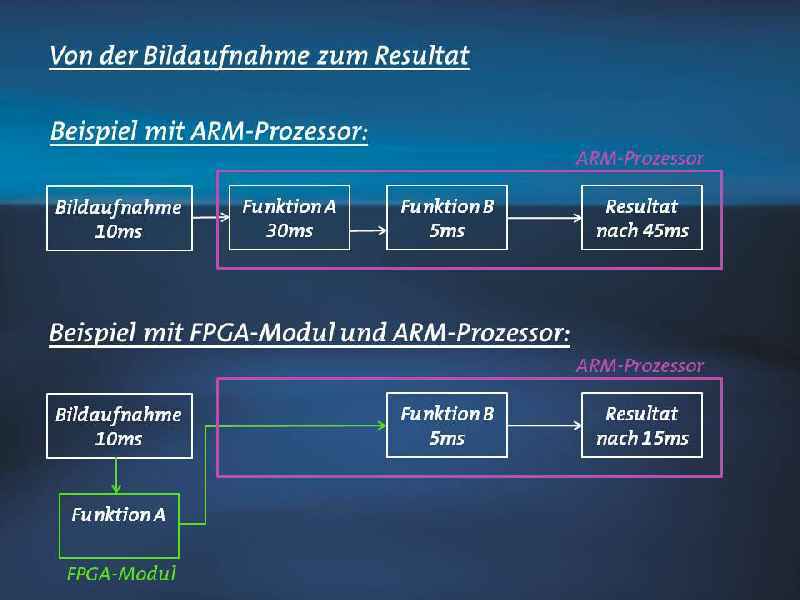 Ettlingen – Optimized FPGA programming for image processing routines enables the system to execute twenty times faster. This performance boost is made possible by relocating selected features from the ARM processor to the FPGA module.